Staff at Berkeley's Institute of Personality Assessment and Research, c. 1961. What Kind of Personality Type Was Truman Capote? It was an unseasonably cool day in August 1949 when a local construction firm picked up the Sigma Phi Epsilon house at 2395 Piedmont Avenue in Berkeley, California, and put it down less than half a mile away in a vacant lot at 2240 Piedmont. There it was to serve as the headquarters for IPAR—Berkeley’s new Institute of Personality Assessment and Research. The move, which cost the university $34,500, was not altogether successful. As the building crawled down Piedmont Avenue, the stucco cracked, the plaster buckled and peeled, and when the house finally came to rest on its new foundations, the moldings collapsed into the street. But when the institute’s director, Dr. Donald MacKinnon, stepped through the dust and around the debris to open the door to 2240 for the first time, he believed he could see the future of personality testing with greater clarity than ever before. It was a bright future, aglow with stars and celebrities. To catch a glimpse of the people who MacKinnon and his staff ushered through the door of 2240 was to catch a glimpse of fame, fortune, and creative genius. Creativity was what interested MacKinnon the most. He had spent the last two years at OSS Station S matching spies to the missions that best suited their personalities, but now he wanted to do something even more exceptional. He wanted to plumb the depths of individuals who possessed a singularly imaginative and inimitable vision of reality, those who could divine, amidst the anger and anxiety of the nuclear threat, the possibility of restoring love, harmony, happiness, and beauty to the world. He believed it was the creative types who would save the world from the fascistic group-think that Theodor Adorno had warned against in The Authoritarian Personality. To this end, MacKinnon proposed what he called a “living-in assessment.” He would invite small groups of academics, writers, painters, architects, and industry executives to the Bay Area, where they would share a house for a long weekend while undergoing a series of personality assessments, therapy sessions, and friendly games. “The assessment of well-monitored individuals under conditions of living together and competing with each other creates a situation of optimal stress and strain for the study of personality,” MacKinnon wrote. He wanted to find out what happened when the most brilliant people in America stopped being polite and started getting real. 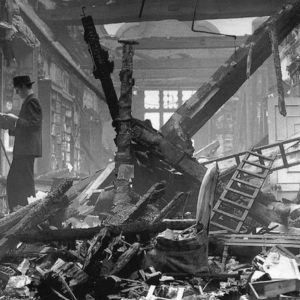 In a sense, the institute was one of America’s earliest incursions into reality programming. What today’s reality television shows flaunt as their “special living environments”—the mansions, the hotel suites, the desert islands—was for MacKinnon the ideal experimental setup. Life in the fraternity house was the closest he and his staff could get to total psychological access; a rare chance to see people act and react to each other in real time, absent whatever inhibitions might seize a patient on a therapist’s couch or a test taker in a quiet room. In Capote’s reluctance to utter even the word, we can catch echoes of a grievance about personality that had, by the late 1950s, become a common refrain in American culture. Now that typing people had emerged as a routine procedure for matching workers to jobs, the concept of personality came with a price attached to it—the salary from a steady job, the possibility of a promotion. Individual personalities had congealed and hardened into commodities, and, as Capote quite rightly intuited, cheap commodities at that. Now human beings were traded on what social theorist Erich Fromm called the “personality market” of the corporate workplace. “Success depends largely on how well a person sells himself on the market, how well he gets his personality across, how nice a ‘package’ he is; whether he is ‘cheerful,’ ‘sound,’ ‘aggressive,’ ‘reliable,’ ‘ambitious,’” Fromm wrote. The romantic idea of personality as a singular set of character traits, the sanctity of the individual—these seemed like flickering images from a dimly remembered past now that people had been eclipsed by types. No one knew this better than MacKinnon, the first person to purchase the Myers-Briggs Type Indicator from Hay and Associates and use it to streamline psychological warfare during World War II. While one could not undo the psychological effects of industrial modernity, he and his staff were determined to resurrect certain 19th-century ideas about the individual self as a bulwark against the horrors of recent history. Many members of IPAR’s research team were familiar with the hardships of war and the devastation of the camps. There was Sigmund and Anna Freud’s old student, Erik Erikson, who had escaped the Nazi occupation of Vienna to make his reputation in the United States as a brilliant child psychoanalyst. There was Harrison Gough, a brash air force officer, a compulsive designer of pen-and-pencil questionnaires. There was a young research assistant named Francis Xavier Barron, a romantic name for a romantic man, a poet who ran with the hippies and the beatniks and would occasionally disappear to Cuernavaca with his friend Timothy Leary to eat mushrooms and expand his consciousness. There was one female researcher, Ravenna Helson—the only member of the institute still alive today and the only one who went unnamed in research reports, identified simply as “the young woman.” There was R. Nevitt Sanford, one of Adorno’s coauthors on The Authoritarian Personality. They were all here—the émigré, the veteran, the poet, the woman, the antifascist—and in their shared commitment to the resurrection of the true self, they presented a cross section of America as it barreled headlong into the Cold War. Whether the creative person was born or made, Barron could not say. But this was the question that, from the perspective of higher education policy in the late 1950s and early 1960s, required an immediate answer if the self, the state, and the society were to be defended from the Soviet threat. “Better Testing Sought for Creative Students” advertised a press bulletin from the California Teachers Association. In a cover article called “The Cold War: The Creative Task,” Time described creativity as the most powerful weapon in America’s arsenal and urged parents and teachers to cultivate creative thinking in their children from an early age. “Can we teach people to be creative?” John Gardner, President of the Carnegie Corporation, wondered. The question was not a hypothetical one. He ordered the Carnegie Corporation to give IPAR $150,000 in 1956 to find an answer through a new study of creative types—fiction writers, architects, mathematicians, and entrepreneurs—directed by Barron, the most creative member of the staff, at least by his own standards. If you happened to be walking past 2240 on January 24, 1958, you might have seen one of Barron’s first test subjects. He was a man short of stature and slight of build, with thinning hair and horn-rimmed glasses; a man with a slightly puckered mouth and, as the staff would note in his case file, “a most thorough-going baby talk.” This man was Truman Capote, an ENFP, the staff would deduce. At 33 years old, he was already one of the most virtuosic writers in America— “the most perfect writer of my generation,” proclaimed Norman Mailer, another of Barron’s test subjects—and thus a perfect specimen for Barron’s study of creative types. Capote was also openly gay and famous for his soft falsetto voice, his large and busy hands. At first, many members of the staff were disturbed by what they referred to as his “peculiarities.” “The impression of both child and woman is so striking in his manner, that one senses in oneself and in his other listeners at first an embarrassed surprise, and then a protective feeling that urges one to seek quickly for the things one can respect behind this façade,” wrote John W. Perry, the psychologist charged with taking Capote’s personal history—the first order of business on the morning he arrived at 2240. After his history was complete, Capote would undergo nearly a dozen assessments. From 10 to 11 am, he would kneel on the floor of a study room littered with tiles and piece together a mosaic out of his favorite colors—red, black, green, and yellow. “Since the colors were basic, thought it best to do a sort of Mondrian,” he explained to the nervous PhD student assigned to record his progress. At 11 am, he descended into the Dark Room to take the Tartan Test, which involved picking his favorite Scottish clan tartan from a series of nine tartans projected onto the wall. At noon, he would lay his hands over MacKinnon’s, and together they would drift across a Ouija board. The house was old, the floors creaked terribly, but 2240 was not haunted. The Ouija board staged a basic test of suggestibility, designed to see if the slightest movements of the researcher’s hands would compel the test subject to respond in kind. Capote was so good-natured, so undefensive in the face of all this psychological prodding that the staff soon felt ashamed of their first impressions and sought to make amends. He was a shameless namedropper, and they thrilled to stories of his famous and tragic and beautiful friends. “One felt that this world of literati and actors and actresses was his own particular element,” read one note in his file. “With Tennessee Williams I’ve been friends for years—we always skate on the edge of bitchiness with one another,” he confided to Barron. “I don’t think writers can really be friends.” With very little prompting from the staff, he talked for hours about what he called his “emotional problems.” He had a compulsive desire for fame, which he believed originated with his mother, a jealous alcoholic, and his father, a bright, charlatan lawyer who abandoned the family when Capote was three, leaving him in the care of his three aunts, two of whom were lesbians. As a teenager, he had had prophetic dreams. The first one was when he was 19 and at a writers’ conference where Robert Frost was presiding. “I was upstairs, slightly ill with the flu,” he relayed. “In the dream I was in the auditorium, and Robert Frost was talking about me, and got to shouting, and it became a nightmare. Later I went to the auditorium, and because of a crick in my neck was unable to rise on a certain occasion or raise my head: he misinterpreted this as intentional, slammed his book, and threw it at me in rage.” The staff concluded that he had sought celebrity to escape his insecure, unloving home and that he had tended to his private wounds by making himself over as a thoroughly public presence—a “personality” in the most glamorous sense of the word. Most of the writers, reluctant to claim the story as their own, crafted minor, unobtrusive characters, but Capote was eager to supply the group with its protagonist and its plot. His character was a 17-year-old girl named Anna Bouchari, the daughter of a waitress in a small town. “Only she’s changed her name to Anne Benson,” he explained. “She wants to be a model and go to live in New York and she reads fashion magazines and movie magazines all the time and actually she is quite naïve really. She leads a most sophisticated life and tells everyone she is 23. She is being kept in an apartment by a gentleman and she has several gentleman friends.” She was a predecessor to Capote’s most famous fictional character: Holly Golightly of Breakfast at Tiffany’s, which would appear later that year in Harper’s. But IPAR was where she made her debut as Anna Bouchari/Anne Benson, who was about to run off with a poor but decent man named Tom. “That’s the beginning of the plot and my character,” Capote announced. Capote’s self-assurance caused a good deal of conflict. Kenneth Burke, diagnosed by his staff psychologist as a man in possession of a “severe” and “anxious” mind, was not amused by Capote’s “boy-wonder affectations” or his hijacking of the plot with Anna Bouchari. “Mr. Burke not only did not fall for this but felt called upon to combat it in a sort of hidden way,” the staff noted. As Knapp urged the writers to continue adding to the story, Capote and Burke started arguing about the direction the story should take. “There took place a first class combat of one-upmanship,” read Knapp’s file, “in which Mr. Burke would utter more and more profound observations about the nature of man and art, in the manner of a weighty scholar, while Mr. Capote would dance around these points with amusing little observations from the world of stage and screen.” The members of the staff, all of whom were by that point very protective of Capote, concluded that Burke “suffered from feelings of social inferiority, against which he reacted by being ‘snooty.’ ” The exercise ended with hurt feelings all around. In Capote, Barron found all the confirmation he needed for his profile of the creative type. “The apparently effortless verbalization of a very rich fantasy life was delivered, for the most part, with the overt nonchalance of a virtuoso,” read Capote’s file. His dreams were vivid and colorful—a sign that his unconscious strained against repression, Barron claimed. He was judged to be “aesthetically sophisticated,” “more at ease with irreality than reality.” He “felt little tension to resolve aesthetic incongruities.” Most important of all, he had a sufficiently agonized backstory. He came from a family of drunks and deviants. He had struggled in the many ways a person could struggle, and these struggles had provided him with the raw material he needed to transform his private experiences into a luminous world of make-believe. “Relentless, restless, and flighty.” “Doubtful and distrustful of love.” “Actuated by a sense of destiny.” Barron’s conclusions about the creative type would echo through his assessments of Kenneth Burke, Kenneth Rexroth, Norman Mailer, and MacKinlay Kantor, sanctifying the idea of the male artist as a romantic, tortured, and fatalistic soul. The Carnegie Corporation was quick to point out that his study was plagued by problems of experimental design. The sample was too small. There existed no control group of “noncreative” writers against which to compare the creative writers’ assessments, a flaw Barron tried to correct by inviting advertising copywriters and staff writers for Reader’s Digest to 2240 for a weekend of assessments. Yet whatever the methodological shortcomings of the study may have been, its characterization of the creative type endured as part of the mythology of the American artist. 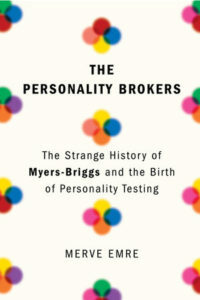 From The Personality Brokers: The Strange History of Myers-Briggs and the Birth of Personality Testing. Used with permission of Doubleday. Copyright © 2018 by Merve Emre. Merve Emre is associate professor of English at Oxford University and fellow of Worcester College. She holds a BA from Harvard and an MA, MPhil, and PhD from Yale. She is the author of two books: Paraliterary: The Making of Bad Readers in Postwar America (University of Chicago Press); and The Personality Brokers (Doubleday), which investigates the strange, secret history of personality testing. Her essays and criticism have appeared or are forthcoming in The New Yorker, Harper’s Magazine, The New Republic, The Nation, The Walrus, Bookforum, Boston Review, The Baffler, n+1, and the Los Angeles Review of Books. She lives in Oxford with her husband and two sons.